SAN FRANCISCO (AP) — A U.S. judge overseeing a criminal case against Pacific Gas & Electric Co. asked the utility Tuesday to explain any role it may have played in a massive wildfire that destroyed a Northern California town and killed nearly 90 people. 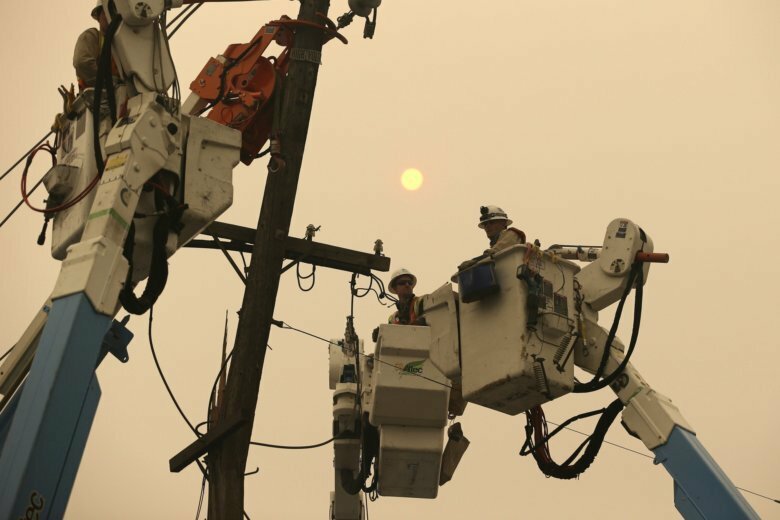 Judge William Alsup in San Francisco directed PG&E in a court filing to respond to a series of questions about power line safety and wildfires. He is overseeing a jury verdict and sentence against PG&E after a natural gas pipeline explosion killed eight people and destroyed 38 homes in the San Francisco Bay Area eight years ago. Investigators have not determined the cause of the wildfire that began Nov. 8 and tore through the town of Paradise , destroying nearly 14,000 homes and killing at least 88 people. Speculation, however, has centered on PG&E, which reported an outage around the time and place the fire ignited. Another line also malfunctioned a short time later, possibly sparking a second fire. In Tuesday’s filing, Alsup said he wants to know whether any requirements in the sentence handed down last year for the 2010 pipeline blast in San Bruno “might be implicated” if the reckless operation or maintenance of PG&E power lines ignited a wildfire. He noted that the sentence required PG&E not to engage in any additional crimes. Another judge had ordered the utility to pay a $3 million fine and run television commercials publicizing its pipeline safety convictions. He also ordered an independent monitor to oversee the safety of its gas pipeline system and put the company on probation for five years. PG&E spokeswoman Erin Garvey said the utility was aware of Alsup’s notice and was reviewing it. “We continue to focus on assessing infrastructure, safely restoring power where possible and helping our customers recover and rebuild,” she said. Alsup also asked what requirements of the sentence might be affected by any “inaccurate, slow, or failed reporting of information about any wildfire by PG&E” and what steps the independent monitor has taken to improve the utility’s safety and reporting on power lines and wildfires. The judge asked for “an accurate and complete statement of the role, if any,” that PG&E played in “causing and reporting” the Northern California fire and all other wildfires in California since its sentencing. Alsup’s questions also were directed to the U.S. attorney’s office, which prosecuted PG&E for the San Bruno blast, and the monitor overseeing its gas pipeline safety. Several fire victims have sued the company, blaming its equipment for the blaze.